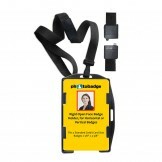 MRI Safe Rigid Plastic Dual Use Open-Face 2-Card Holder with Black Lanyard 50 packOpen-face design h.. 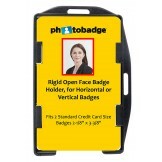 Rigid Black Plastic Badge holders MRI SafeOpen-face design holds 1 standard size card on each side R..
Budget Frosted Horizontal Rigid Badge Holder Holds 1 30mil Credit Card size card. 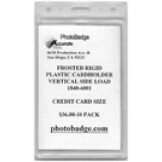 Plastic w..
Budget Rigid Badge Holder Holds 1 30mil Credit Card size card Plastic won't easily crack 25 pack m..
Blue vertical open-face semi-rigid card holder slot & chain holes. Rails on all four sides to.. 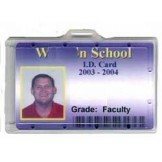 Holds 2 30 mil cards. 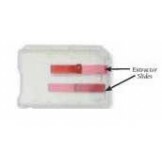 Extractor slides on front & back to eject cards. 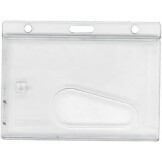 For Smart Chip & Mag..
Frosted Plastic Dispenser for Credit Card Size ID Card Vertical Side Load w/slot & chain holes.. 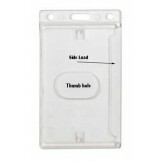 Plastic Dispenser for Credit Card Size ID Card Vertical Side Load Price per as low as $ 0.70 each1.. 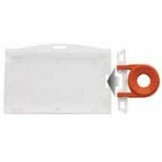 Plastic Dispenser for Credit Card Size ID Card Horizontal Side Load Price per as low as $ 0.70 eac..
Horizontal Plastic Dispenser for Credit Card Size ID Card Horizontal Side Load 2 30mil cards fit i.. 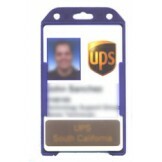 Holds 1 30 mil card. 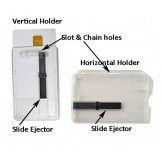 Extractor slide on front to eject cards. 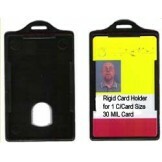 For Smart Chip & Magstripe Cards ..
Locking 3 Card Holder Prevents tampering-100 pack Slot & & Chain Holes Pack Includes Speci.. 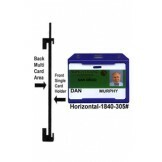 This Multi Card Horizontal Dispenser will hold 1 30mil card in front and as many as 3 in back. Perf.. 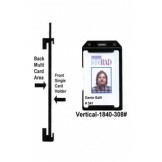 This Multi Card Dispenser will hold 1 30mil card in front and as many as 3 in back. 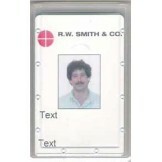 Perfect for Com..